Pain is an inevitable aspect of life that can get in the way of living. Whether the pain comes suddenly or slowly builds over time, quick relief becomes the primary focus. Traditional medicine can cause adverse reactions with long term use, making natural remedies an attractive form of pain relief. Essential oils are proven to be helpful in providing pain relief. In fact, there are many essential oils for chronic pain that may provide just the relief that you are looking for. When it comes to pain relief, essential oils can often provide natural pain relief without uncomfortable side effects. Searching for what essential oils are good for pain can seem like a daunting task, with over hundreds of oils to choose from. With natural pain-relieving, anti-inflammatory, and soothing properties, the following are the best essential oils for aches and pains. When wintergreen essential oil is applied topically and fully absorbed, it represents the same salicylate as a 325 mg aspirin tablet. Theoretically, analgesic essential oils such as wintergreen could provide comparable pain relief. When looking for essential oils for toothache pain, in particular, wintergreen essential oil may prove to be a powerful natural remedy. The cool and refreshing sensation provides a numbing effect when applied externally to the affected area. Similarly, wintergreen essential oil is also one of the best essential oils for muscle pain as the cooling analgesic effects provide quick pain relief to sore muscles. The therapeutic benefits of frankincense essential oil include natural pain relief and wound healing properties, and is often regarded as the best essential oil for inflammation. In a 2003 study, patients with osteoarthritis knee pain were given either frankincense essential oil or a placebo. The group that was given the frankincense essential oil reported improved knee movement, better range of motion, increased ability to walk for longer distances, and an overall significant decrease in knee pain. Frankincense may also be one of the best essential oils for joint pain. The powerful anti-inflammatory properties also make frankincense essential oil one of the most effective essential oils for breast pain. Many women experience severe breast pain due to pregnancy or during menstrual cycles. According to the International Journal of Childbirth Education, this warming essential oil provides comfort and relief to breast tenderness. 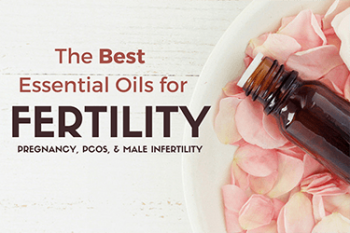 Similarly, it’s also one of the most recommended essential oils for menstrual pain, due to its anti-inflammatory properties and warming effects. Stomach pain that is caused by menstruation can be alleviated with frankincense essential oil, as well, as it is one of the top essential oils for stomach pain. Frankincense essential oil is among the top essential oils for sinus pain. The anti-inflammatory properties combined with its antiseptic activity make it an excellent natural remedy for each of these ailments. 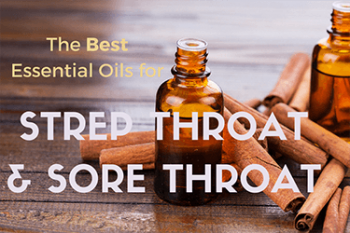 In fact, it’s such a beneficial essential oil for the entire respiratory tract it’s often one of the most recommended essential oils for chest pain by aromatherapists. Frankincense essential oil is often prescribed to treat diabetic foot infections, as a result. To make your own pain relief oil, add 2-4 drops of frankincense essential oil to 1 Tbsp. of carrier oil, and gently massage onto the affected area. One of the most notable benefits of lavender essential oil is its calming and relaxing effect. This combined with its pain reducing properties makes it one of the best aromatherapy oils for pain relief. When administered oxygen infused with lavender essential oil, biopsy patients reported better pain control than those who received plain oxygen. This aromatic essential oil is not only one of the best essential oils for pain management, but is also an incredibly versatile oil that can be used to reduce inflammation and improve sleep quality that may otherwise be compromised by pain. With its pain-relieving and anti-inflammatory effects, it also proves to be an effective essential oil for ear pain. Eucalyptus essential oil’s benefits stem from its notable pain-relieving properties. In a 2013 study, patients with osteoarthritis who inhaled eucalyptus essential oil for thirty minutes over three consecutive days reported a significant decrease in pain. They also had reduced blood pressure after the experiment, hinting to its calming effects, as well. Clinical trials have shown that the benefits of rosemary essential oil may be due to certain bioactive compounds that help reduce pain and swelling. Inhaling rosemary essential oil via aromatherapy has also been shown to reduce perceived pain, as well. As such, it’s commonly recommended as a pain-reducing option for arthritis and inflammation. When searching for the best essential oil for back pain, it is first important to understand the cause of the pain. Whether the pain is caused by inflammation, nerve pain, or menstruation can greatly determine what essential oils are good for back pain relief. Ginger essential oil is one of the best essential oils for lower back pain, thanks to its pain-relieving properties. Its well-known properties have been studied time and time again, making it one of the top recommended essential oils for back pain. Wintergreen essential oil provides a cooling and numbing sensation, making it one of the most popular essential oils for back pain relief. The analgesic effects help eliminate the pain signals to the brain, thus reducing overall experienced pain. 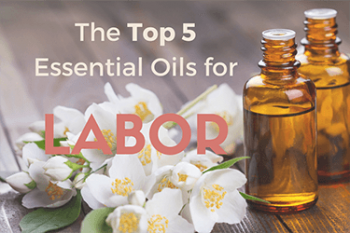 When it comes to essential oils for pain, in back or any part of the body, lavender essential oil still holds a strong position at the top of the list. The anti-inflammatory properties reduce inflammation in both the muscles as well as the connective tissues. The analgesic properties reduce pain signals, making it one of the most popular essential oils used for pain in general. The calming effects also make lavender essential oil a key ingredient in pain management. It is no surprise, then, that it is among the best essential oils for sciatica pain and nerve pain in the back. To use any of these essential oils for your back pain, consider making a pain-relieving massage oil. Add a few drops of each essential oil into an ounce of a carrier oil, such as jojoba or coconut oil, and gently massage into the skin. Nerve pain can be downright debilitating, necessitating immediate relief by any means. Normally, our nerves are protected by our skull and spinal cord. This allows nerve signals to rapidly communicate from one end of the body to the other. 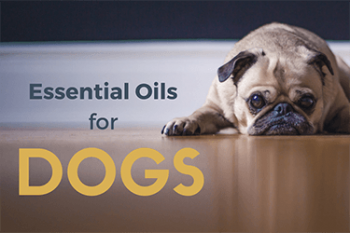 Though nerve damage requires a lot more medical attention than simple pain relief, essential oils for shingles pain may be very effective until the root of the problem is treated. In fact, when using essential oils for nerve pain relief, pain may become more manageable. Though nerve pain can be caused by a variety of issues, they are all related to inflammation and swelling.3 As such, the recommended essential oils for sciatica nerve pain will often be the same as the essential oils for shingles nerve pain. Eucalyptus essential oil is especially helpful with nerve pain as it works via aromatherapy. To benefit from its pain-reducing properties, place a few drops of eucalyptus essential oil into a diffuser and let the aroma fill the air. Breathe in the air for 30 minutes a day until the pain subsides. Neck pain most often comes due to sitting for long periods of time, such as at a desk job. Stress accumulates in the neck and shoulder area without much opportunity for release. Tension and inflammation set into the muscles, and a nagging neck pain ensues. When looking for essential oils for neck and shoulder pain, search for anti-inflammatory, warming, and calming properties. Frankincense essential oil provides warming and anti-inflammatory properties; lavender essential oil offers calming properties; chamomile essential oil serves as an anti-inflammatory and calming oil. Creating an essential oil blend for pain may be the best option for treating neck pain. Try mixing together 5 drops each of frankincense essential oil, lavender essential oil, and chamomile essential oil with 2 Tbsp. of a carrier oil, such as jojoba oil. Gently massage this oil blend into the sore area. As the oils absorb into your neck, you will also benefit by breathing in the calming aroma. Our shoulders hold the bulk of our stress and tension that comes from everyday living. If left untreated, the muscles can become inflamed and too tight to function properly. When treating shoulder pain, a combination of essential oils may be best to tackle both tension and inflammation. Frankincense essential oil may help reduce swelling and inflammation associated with shoulder pain. Lavender and chamomile essential oils may help relieve tension in the shoulder caused by stress. For a natural pain relief massage oil, combine 3 drops each of frankincense, lavender, and chamomile essential oils with 1 Tbsp. 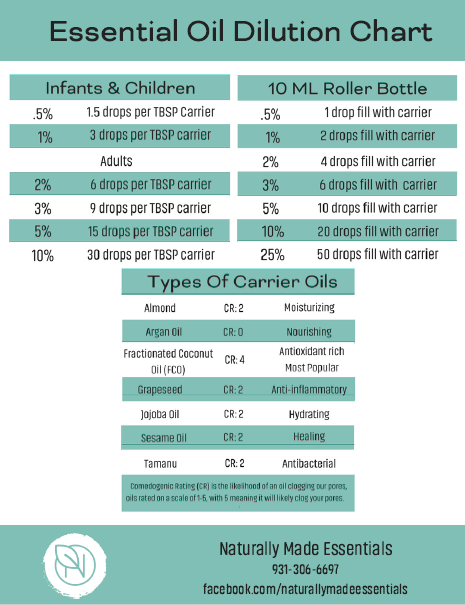 of a carrier oil. Gently massage into the sore shoulder. For a warm compress, lay a warm, wet cloth over the top to ease muscle tension. Swelling and pain around the knee joint can cause tremendous pain, often times making it difficult to even walk. The primary goal is to reduce swelling and relieve pain. Wintergreen, rosemary, ginger, and frankincense essential oils are considered the best essential oils for knee pain. According to a study involving patients with severe knee pain, a massage oil containing ginger essential oil was able to help reduce pain, stiffness, and swelling. Frankincense essential oil is the top knee pain essential oil to reduce swelling and inflammation. Rosemary essential oil has been shown to be effective in reducing joint pain related to inflammation. Finally, wintergreen essential oil may be another good choice, as it provides immediate numbing relief, thanks to the analgesic properties. When searching for essential oils for jaw pain, there really is no better combination than lavender and wintergreen essential oils. The analgesic effects of wintergreen essential oil relieve TMJ pain, while lavender essential oil relaxes the muscle tension in the jaw. To use these natural oils for pain relief, mix one drop of each with 1 Tbsp. of a carrier oil, such as sweet almond oil, and gently rub onto the affected area. The best essential oils for foot pain are those with powerful anti-inflammatory properties, as many ailments related to the feet result in inflammation. Frankincense essential oil and wintergreen essential oil are the best essential oils for painful feet, no matter the cause, as they quickly reduce swelling and relieve pain. For plantar fasciitis, a combination of healing oils for pain is best. Combine several drops each of frankincense and wintergreen essential oils with a carrier oil and massage rigorously into the foot. The best essential oils for bunion pain will focus on numbing the outer area while working deep to alleviate inflammation. Combine frankincense and wintergreen essential oils for pain relief caused by bunions. Though this mixture will not heal the bunion itself, it will help alleviate the pain caused by the bunion. Another common cause of foot pain is gout. Gout is a buildup of acid in the body, which can lead to painful inflammation. This inflammation usually occurs around the joints, especially in the feet.5 The best essential oils for gout pain are frankincense and wintergreen essential oils. The cooling and numbing effect of wintergreen essential oil promotes blood circulation, which will help clear out the acid buildup in your feet. When used as a massage oil, frankincense essential oil will penetrate the skin to reduce painful inflammation. When treating foot pain with essential oils, combine a few drops of the selected essential oils with a Tbsp. of a carrier oil and gently rub into affected area. Alternatively, make a therapeutic foot soak by adding 2-3 drops of essential oil into a large container filled with warm water. Place feet inside for up to 30 minutes for sore foot relief. The kidney is responsible for filtering toxins from the blood. Sometimes, its function is compromised for a variety of reasons. When this occurs, kidney pain can set in, leaving a painful ache in your lower back. Using essential oils for aches can certainly be helpful while you also work to treat your kidneys. Traditionally, lavender essential oil has been used to treat problems with the liver and kidneys. But the therapeutic properties of thyme essential oil have also been shown to reduce symptoms of backache and cramping, according to one study, which may be helpful in treating back pain associated with the kidneys. Combine 2-3 drops each of lavender and thyme essentials oils with a tablespoon of a carrier oil to ease kidney pain. Gently rub the oil mixture onto affected area several times a day. Tendon pain is usually caused by inflammation and swelling. This is most often seen in the knees and the wrists. The best essential oils for wrist pain and knee pain will treat the inflammation of the tendons and increase blood flow to the area. Frankincense essential oil can significantly reduce swelling while wintergreen essential oil will increase blood flow, thanks to the cooling sensation. Add 2 drops each of frankincense essential oil and wintergreen essential oil to a carrier oil, and gently rub into the affected area. Pain in the hips can significantly decrease your range of motion and even make walking a difficult task. The swelling and inflammation in the hips not only causes significant pain but it also reduces blood flow to the area. The best way to address this pain is to reduce inflammation, increase blood flow, and relieve the pain. A combination of frankincense, wintergreen, and lavender essential oils will be able to help support this process. Combine several drops of each with a carrier oil and gently massage into the hips. Leg pain can come from a variety of causes, from growing pains to overuse. Using lavender essential oil for leg pain may help alleviate the symptoms. Other essential oils for growing pains include rosemary essential oil, which will reduce any swelling and provide a warming sensation, and wintergreen essential oil, which will increase blood flow to the area. Create an effective essential oil compress by combining several drops of each essential oil in a large bowl filled with warm or hot water. Gently dip a cloth into the mixture, until it soaks into the material. Place the warm cloth onto the affected area until the cloth loses its temperature. Repeat as necessary. For leg pain that occurs at night, try adding 2-4 drops of eucalyptus essential oil to a diffuser filled with water. The best essential oils for body aches and bone pain will reduce inflammation and increase circulation in the affected area. Frankincense essential oil is well-known for its anti-inflammatory properties and ability to penetrate the skin. Wintergreen essential oil is most recognizable for its refreshing aroma and cooling sensation, which promotes blood circulation. Eucalyptus essential oil is especially helpful in treating bone pain. In a 2013 study, patients with osteoarthritis inhaled eucalyptus essential oil for thirty minutes for three days and reported significantly reduced pain. To make a massage oil, combine a 2 drops of frankincense essential oil and wintergreen essential oil with 1 Tbsp. of carrier oil and gently rub onto the affected area for pain relief. For aromatherapy, add 2-4 drops of eucalyptus essential oil to a diffuser and inhale the aroma for thirty minutes each day until the pain subsides.